There can be no denying that social media and networking has had an impact on virtually every aspect of our lives and that includes searching for a job. Traditional job search methods like newspaper ads, recruitment agencies and the like still count too of course but they ought to be used in conjunction with other things. If social media to you is more about updating your friends and family on what you had for dinner or engaging in a bit of debate about the latest reality tv show, then perhaps it’s time to turn it into a more useful tool – specifically if you are job hunting. 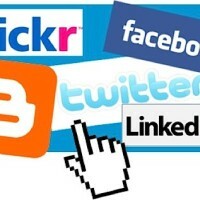 We’ve outlined 5 Ways to use Social Media to find a job which should hopefully set you along the right path. 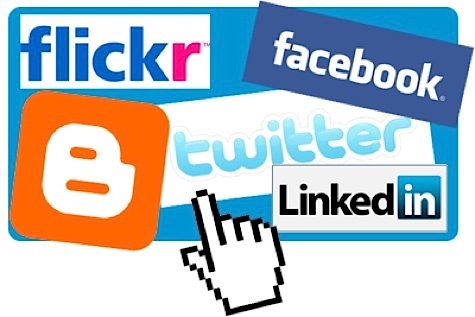 If you are currently only using one social network and using that mainly to keep in contact with friends and family etc, then it would be worthwhile trying to build a more credible online profile. LinkedIn is often referred to as the more professional network and it’s true that its members are there to highlight their own experience as well as to network and engage with colleagues and peers and those in other industries. LinkedIn is often used by headhunters too to connect with people for prospective vacancies. Start improving your online profile by joining the likes of LinkedIn and Twitter and make it clear in your profile or bio that you are looking for a new opportunity. 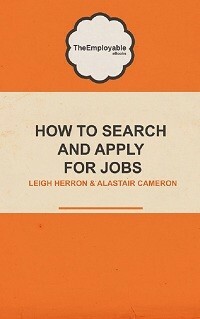 Highlighting that fact alone can often lead to employment opportunities coming your way. On both LinkedIn and Twitter you should start to make connections with people who in some way can be influential for your job search. Former colleagues or clients could make recommendations about you on LinkedIn that can help to improve your overall profile. You could also use Twitter to make connections with employers and recruiters and other industry professionals in your sector or profession. Search company websites to find their Twitter accounts or simply search Twitter bios for people who you would like to reach out to. When you are looking for a job, a good CV will of course highlight your skills and abilities, however there are other ways too of using social media to do the same. You may for example, be able to upload examples of your work and in a sense showcase your capabilities – this would be particularly beneficial for creative disciplines such as design etc. You could also start writing a blog about your industry or profession and thereby highlight and showcase your knowledge and expertise. Do this in the right way and you could effectively be promoting yourself for free and with potentially great results. Most companies these days have an active presence on Social Media and many use Facebook, Twitter and LinkedIn in equal amounts. It’s therefore worthwhile using social media to research companies and employers that might interest you. You may find out company news and announcements as they happen, find out of job opportunities before they get advertised formally and discover expansion or company development plans before they feature in your local press. You will also be able to get a feel for the organisation itself via their posts and tweets – an idea about their culture and the people who work there. All of this research can be really helpful in both your job search and also in terms of assisting you prepare for any interviews which you may be invited to. Creating a profile on social media is of course only the beginning. It’s important to spend time maintaining and building it. The best way of doing that is by being active. Make sure that you are engaging with other people. Join groups related to your industry on LinkedIn and participate in discussions, or better still, initiate some discussions of your own. Twitter is always full of people debating and discussing topics of interest, so why not get involved there too. Of course it’s important to ensure that your contributions are valid, not contentious or offensive and that you are engaging with key people of influence – potential employers and the like. Your purpose is after all to get noticed for all the right reasons!